The Falkirk Wheel is the world's first revolving boatlift and flagship of the British Waterways Millennium Link project, which reopened the Forth and Clyde Canal and the Union Canal. The wheel is internationally recognised as a ‘grand engineering statement', replacing a flight of 11 locks and allowing interchange between the two canals which are separated by approximately 2 km horizontally and 34 m vertically. The contract also included the design and construction of a new 1.8 km section of canal, a tunnel beneath the Antonine wall, a section of aqueduct, receiving basin and a visitor centre which provides facilities for tourists, function areas and office space for British Waterways. 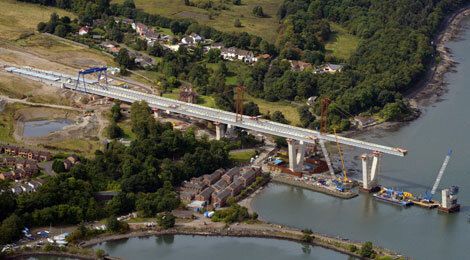 The project was awarded the Award for Civil Engineering and the Best Civil Engineering Project of the last 25 years (1981 - 2005) by the Saltire Society and the Brunel Medal by the Institute of Civil Engineers. We have a strong track record in Infrastructure, undertaking prestigious projects in flood prevention, renewable energy, oil and gas, roads, bridges, railways and marine. 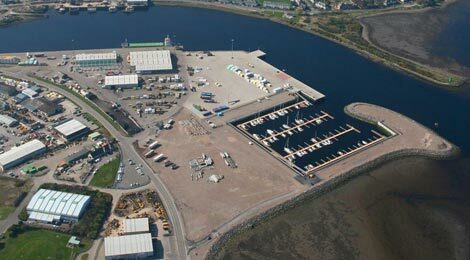 An extension to Inverness Harbour at the mouth of the River Ness has provided new berthing, a marina, and reclaimed ground for development.